Some of you may have encountered an issue with installing 2013 products. They just simply will NOT install. I can across this same issue on my machine. I actually am getting lots of calls on this recently too. I have found the culprit. Browse to your Windows Control Panel…Start Menu>Control Panel. If you use Category view, select Uninstall a Program. If you use, Large or Small Icons, select Programs and Features. Uninstall ALL of the C++2010 versions. 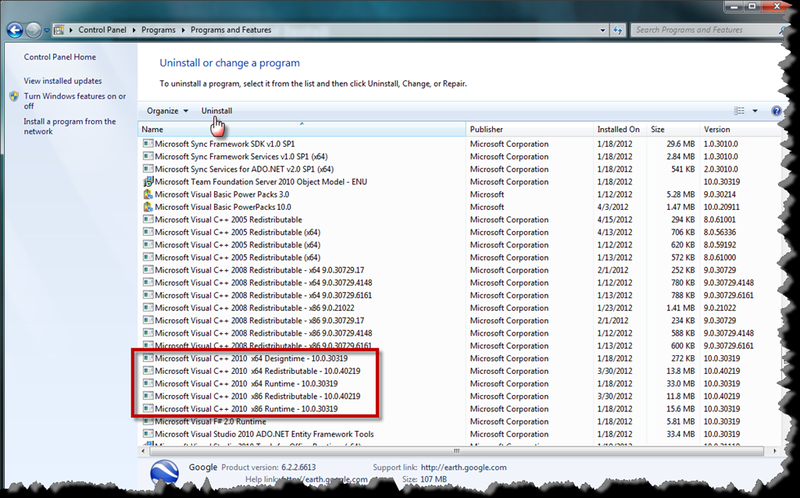 Once you have uninstalled ALL of the C++2010 versions, install your 2013 Autodesk products. The Autodesk products will re-install the C++2010’s back on your system and complete the initial installation successfully. Autodesk released Service Pack 2 today for AutoCAD and AutoCAD LT 2012. 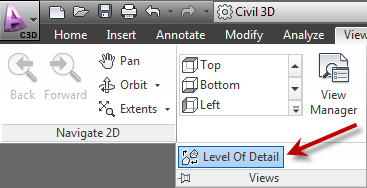 This is an update to an earlier post from Todd Rogers regarding the new Level of Detail setting in Civil 3D. For Civil 3D 2013, the location of this control in the Ribbon has changed. It is still located in the Views panel of the View tab, but for 2013, it is not visible by default. You have to drop down the Views panel. A screenshot of each is shown below. 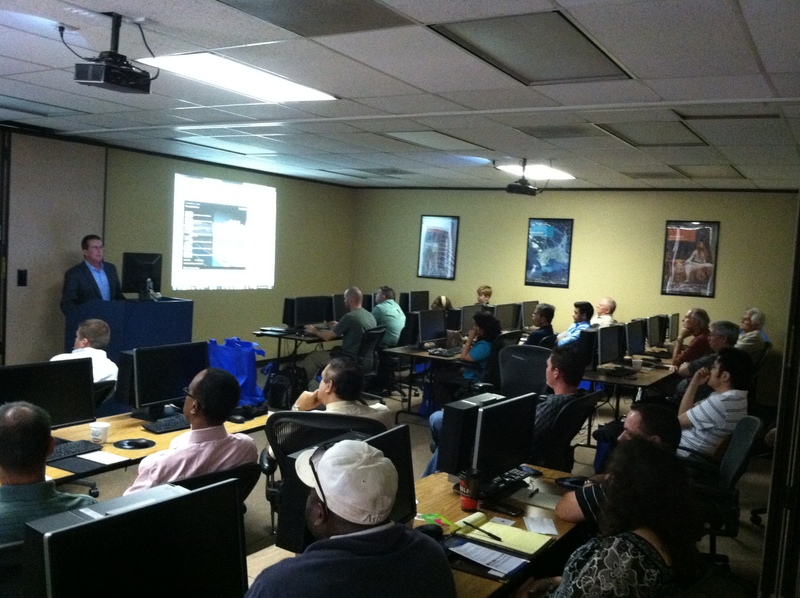 2013 Solutions Session – Infrastructure is happening now. A full house today for the Infrastructure Solutions Session. There is still time to sign up for the sessions on Plant and Manufacturing Solutions (May 10) or Building Solutions (May 17). Contact nhong@tcadsys.com to reserve your spot! I have created a video with Autodesk Infrastructure Modeler 2013. The new release has some great new features.